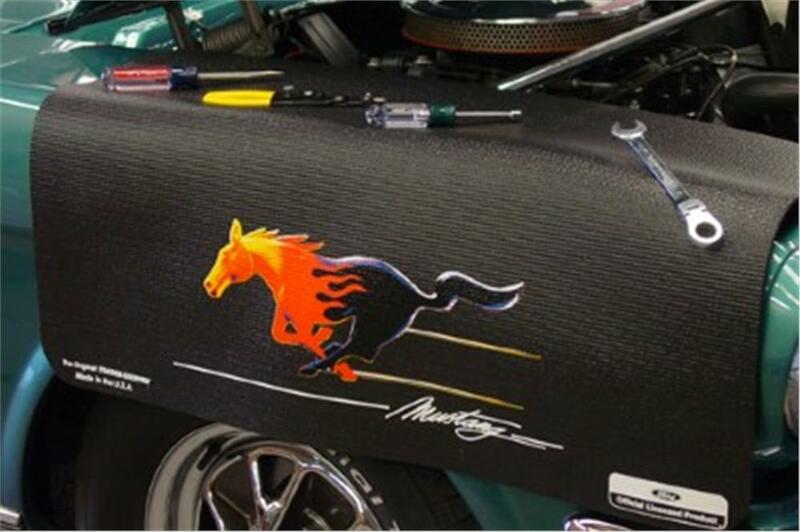 The Ford Mustang with Flames logo Fender Gripper FG2107 Fender Covers are soft fender covers that don't slide off, will protect your Ford's paint and keeps tools close at hand. The soft and cushioned 1/8" PVC material in reinforced with nylon mesh is impervious to most any fluids, and easily washable. Fender Gripper Fender Covers, cover a 22" x34" surface and will not scratch or harm your paint.